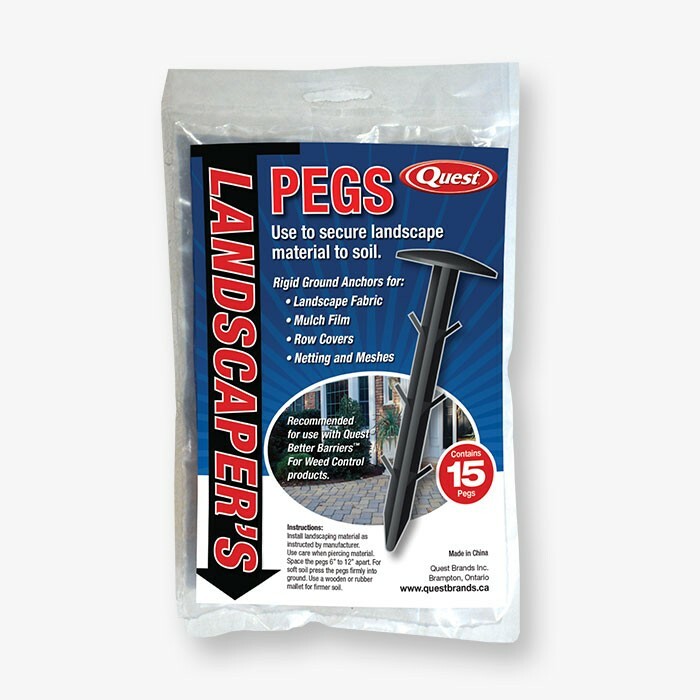 This 15 Pack of 4 1/2" HDPE Landscaper's Pegs by Resinet are ideal for securing your landscaping fabric, mulch film, row covers or nettings and meshes to the soil. This 15 Pack of 4 1/2" High-Density Polyethylene Landscaper's Pegs by Resinet are ideal for securing your landscaping fabric, mulch film, row covers or nettings and meshes to the soil. *Please Note That This Product Is Only Available For Puchase In Quantities Of 28.